I have an experience of over 4 years in content writing wherein I have explored myself in versatile niches like health, entertainment, tourism, education and more. I completed my post graduation in English Literature in 2017. My academic qualification has helped me to improve my writing skills over the years. Apart from that, I have worked with several renowned websites like ContentMart, Shiksha and Kalaage. While technology has been leaving its footprints on every turf, healthcare is one of the most positively affected areas. Undoubtedly, technology has played an instrumental role in transforming the workings of the healthcare sector. New advancements in technology have helped in shaping the healthcare industry in the right way. From research and treatments to data collection, innovation has paved the way for such incredible changes in the healthcare industry. Changing trends in the technological world have improved the quality of healthcare that people receive in a significant manner. Several attributes that need to be taken into consideration in order to bring a positive change includes the need for maintenance of accuracy, quality, efficiency and more. 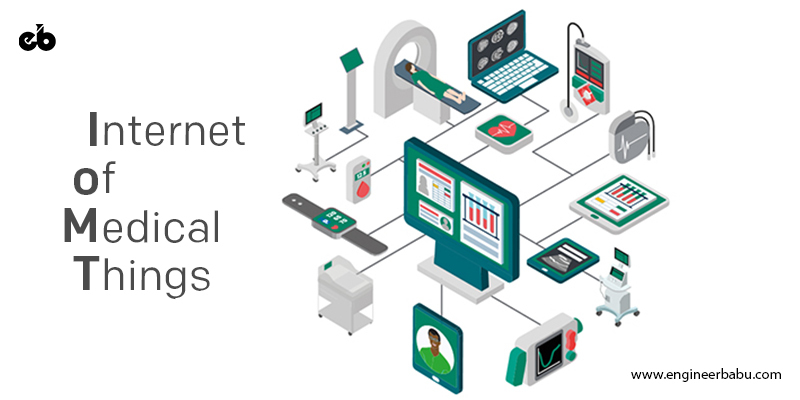 IoMT refers to a collection of medical devices and applications that connect to healthcare IT systems through online computer networks. Medical devices connected with Wi-Fi allow a machine to machine communication which stands as a base to the IoMT. 1. Remote monitoring of patients with chronic symptoms. 2. Easily tracking down the medication orders of patients. 3. Location of the patients admitted to the hospitals. 4. Allows communication with medical experts even in remotest places. An excellent example is a partnership of Salesforce and Philips which have collaboratively created a platform to enable smooth functioning of medical devices in conjunction with complex sets of data. 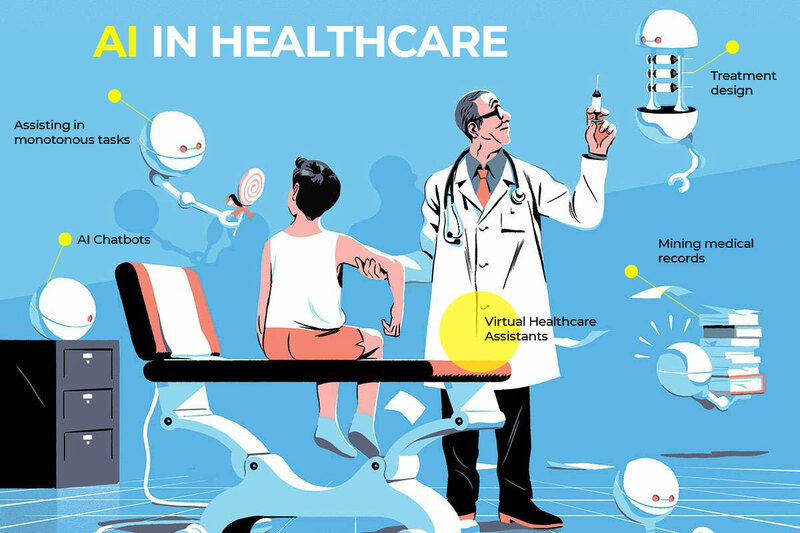 Artificial Intelligence has played an integral role in transforming the healthcare industry in unimaginable ways. From managing day to day data and medical records to be up-to-date with personal data, artificial intelligence has been successful in bringing the legal changes in the workings of this industry. Apart from that, artificial intelligence can also help with managing the medication, monitoring the health of patients, the creation of drugs, the list is endless. 1. Managing medical records and data: Health industry cannot do away with this very first step. What lies at its heart is analyzing and compiling the information. Robots help to store, collect, trace and re-format data to provide faster access. 2. Doing repetitive jobs: Mundane tasks of the day can easily be managed with the help of robots. Radiology and cardiology are two disciplines where the amount of data to analyze can be time-consuming. Hence, artificial intelligence can help in minimizing human efforts. 3. Treatment design: Selecting a customized treatment plan becomes more comfortable with AI as it can analyze data relating to a patient’s previous history records, clinical expertise, external research and more. 4. Digital consultation: Apps like Babylon have been very helpful in giving valuable advice to patients based on medical knowledge and personal medical history. It has succeeded in breaking barriers between doctors and patients. Users can easily report their symptoms in the app by using speech recognition feature to compare against a base of illnesses. 5. Virtual nurses: Digital assistant who helps people to do follow up treatments by monitoring patient’s condition. It uses machine learning techniques to support patients. 6. Health monitoring: Health trackers like Garmin, Fitbit, and others can help one keep a check over the activity levels and heart rate. They can provide useful information to doctors regarding the regular habits of the patients. Doctors can then prescribe a proper medical treatment based on such crucial data. For example, Oncore Medical aims to help in cancer treatment especially radiation therapy. Radiation oncologists can now access, collect and organize medical records electronically through an integrated digital database. Also, it can help doctors design treatment plans for patients. Similarly, Sentrian is another remote patient intelligence company wants to bridge the chasm between doctors and patients by using smart algorithms. It allows easy prediction of whether patients will become sick even before they experience symptoms. Also, its remote patient monitoring technology enables it to collect patients’ data from various biosensors and then deal with this data by continually detecting problem areas. Managing a vast number of patients can be cumbersome for the management of large hospitals. Hence, some of the critical tasks can easily be decentralized by relying on advanced technology. Easy monitoring is possible even without the doctor-patient interaction on day to day basis. With the use of sophisticated equipment like HD cameras and sensors, regular monitoring of the patient’s heart rate, blood pressure, and pulse oximetry can be carried out without any hassles. Thus, it eliminates the need for the physical presence of a doctor and can be extremely helpful during actual emergencies. Apart from that, it also enables patients to book appointments online, receive test reminders and updates regarding appointments, and communicate doctor through chat features and more. Such technological changes have played an active role in managing time and money resources effectively. If such things are executed properly, then they can allow patients to have easier access to scheduling, reduce stress for staff and lead to increased revenue as all critical conditions will be managed appropriately. Digital patient engagement techniques are aimed at providing patients with access to clinical and administrative support in a personalized manner. These engagement tools have helped patients to connect using remote patient monitoring capabilities. Patient engagement is the first step to getting better clinical outcomes by improving communication between care providers and patients. They allow timely access to healthcare by enabling efficient illness management. The ultimate goal of adapting this technology is to improve the quality of healthcare by reducing costs. 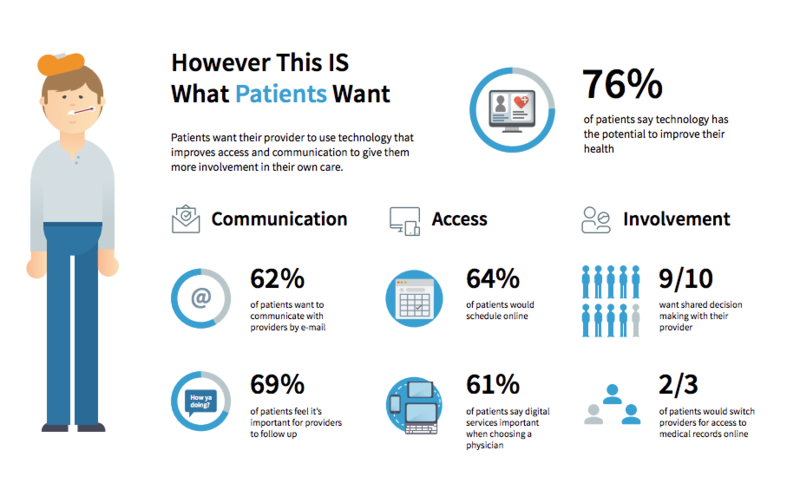 In spite of various barriers like a fragmented end-user market, substantial investment requirements and more, patient engagement technology makes use of innovation to the fullest. The need to make healthcare more customer-centric has been realized in the recent past. Hence, the use of patient engagement technology is bringing about an overall positive change in the experience of patients. For instance, Welvu helps healthcare providers to customize patient education content which includes disease illustrations, treatment plans for each patient and personalized medical photos. Also, mobile-based platforms can read information directly from record visual features, EHR and share educational video for review. This is an essential technological advancement in the medical field especially for the people who suffer from Type 1 1 diabetes. In this condition, the body is unable to produce sufficient insulin which leads to day to day suffering. Hence, keeping a check on blood glucose levels becomes necessary several times in a day. Taking insulin injections in proper dosages at fixed intervals is thus essential. 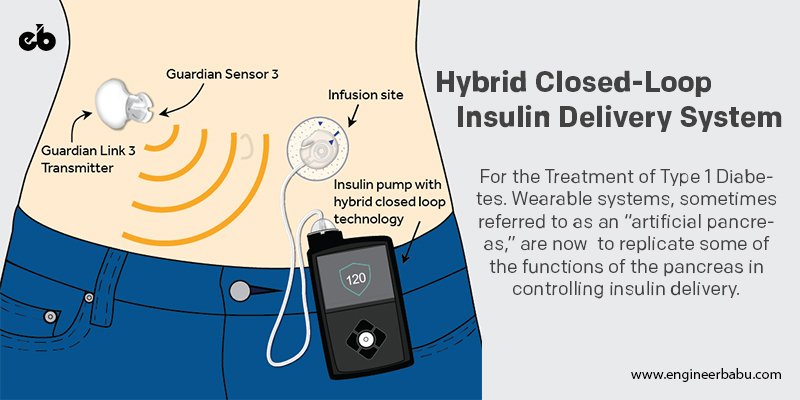 A hybrid closed-loop insulin delivery system is the perfect solution to this problem. 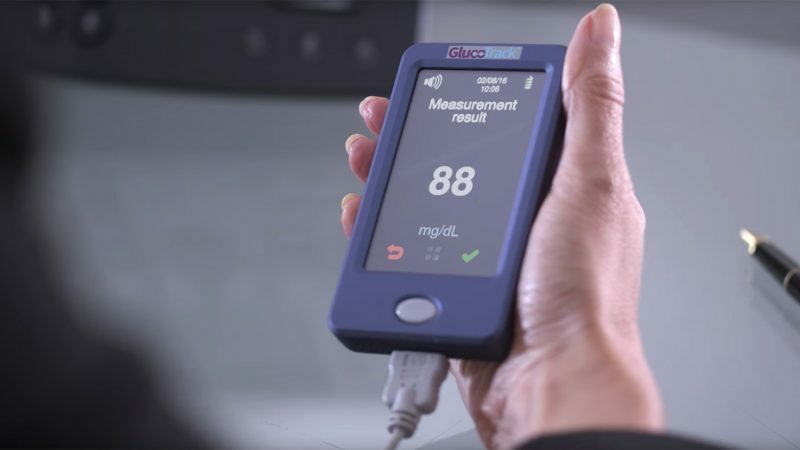 Currently, the MiniMed 670G is the only licensed hybrid closed-loop insulin delivery system in commercial use. The next step in healthcare technology innovation is developing a full proof automated delivery system that allows constant monitoring. However, it comes with its share of risks which include its failure to reach out to the patients at a broader level. Its use is to monitor the glucose level with a pump for delivery of insulin in the right manner. This will eliminate the need for those who are suffering to test and manage their insulin levels by themselves. For instance, in the year 2016, Ochsner Health Systems provided its hypertensive patients with wireless blood pressure cuffs. This resulted in better control of hypertension of patients as this device successfully allows secure transmission of data to the medical experts. Claiming insurance money for treatment has always been a very tiresome process. It comes at the cost of disrupting the mental peace of patients who don’t have enough time to indulge in various complicated paper formalities. Such situations can lead to bitter experiences in case of emergencies in case the person fails to arrange the money needed for treatment and recovery. Hence, bridging this chasm is the need of an hour for the healthcare industry. Innovation in the field of healthcare has helped increase the efficiency of insurance companies as they can now quickly access data about the patient as well as reliable service providers. This benefits both the payer and the provider because they no longer have to be dependent on online reviews like Google and Yelp. With factual data and detailed information, one can be assured of connecting with the right provider. The easy access to in-depth analysis has helped to evaluate the credibility of providers in the market. The information is more reliable as compared to hard facts. The ultimate goal is to improve safety for individual patients and improve the quality of care. The coordinator between the patient and the specialist will have all the information about the specialist, ranging from experience, affiliations, and network to even the proximity with the patient. The coordinator can now even rank the specialist for further reference. Referral MD is one such carrier that provides complete analytics and referrals to enhance workflow and optimize the decision-making process in the healthcare system. One such instance is the successful partnership between Granite Health and Cigna. Both have claimed improvement in their cost scores and quality which can be attributed to process improvement for providers and payers. Advanced imaging was shifted down to 7%. Medical costs were recorded to be 1.2% lower. ED was measured 4% lower. Improved quality of life due to reduced hypoglycemic levels. While children share their parents’ genes, they also inherit diseases by default. Scientists are now developing technologies that would directly treat the genes of the parents so that the child does not inherit these diseases and leads a healthier life. There are very few cases of inherited retinal diseases, but there is extensive research going on for the specific genetic etiology that might restore vision loss in patients. This technology can treat retinal diseases caused by biallelic RPE65 mutations. For instance, recently, Nokia was involved in a multi-partner research project with Oulu University Hospital which is situated in Finland. 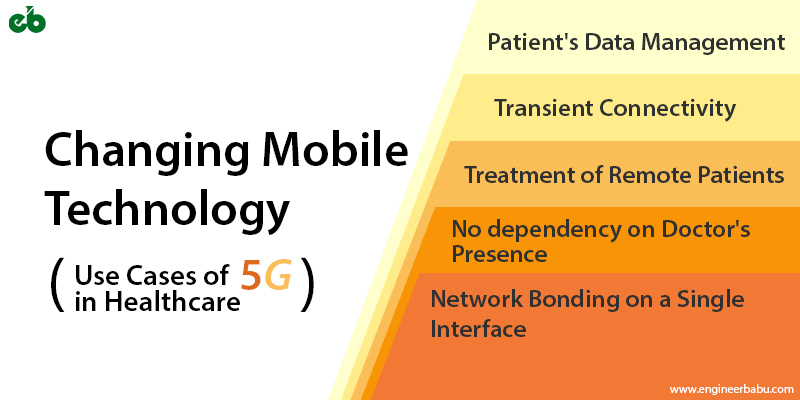 Its motive is to convert it into a 5G hospital to test and develop advanced healthcare use cases. 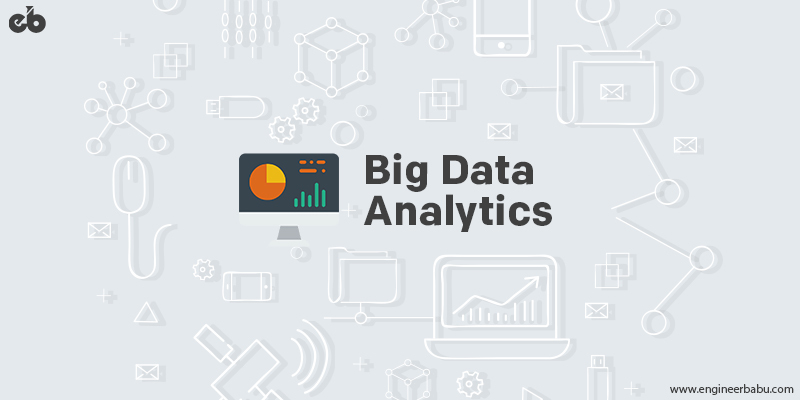 Big Data has changed the way we can leverage, analyze and manage data in the healthcare industry. It holds immense potential to predict outbreaks of epidemics, reduce costs of treatment, improve quality of life and more. One of the biggest challenges which are faced by the healthcare sector revolves around availability of staff to manage the patients. If there will be too many workers, then the hospital will have to bear unnecessary labor cost. At the same time, also few workers can profoundly impact the customer service outcomes. In such cases, big data can help to solve the problem where data can be analyzed to come up with hourly predictions of the number of patients which can be expected at each hospital. Using “time series analysis” techniques, one can use machine learning to predict future admissions trends. Hence, big data can be used to reduce waiting time for the patients and ensuring better healthcare facilities. It is one of the most sought-after applications of big data in medicine. Every patient has its digital record which includes detailed information relating to medical history, allergies, demographics, laboratory test results and more. Doctors can implement new changes without paperwork procedures and data replication. 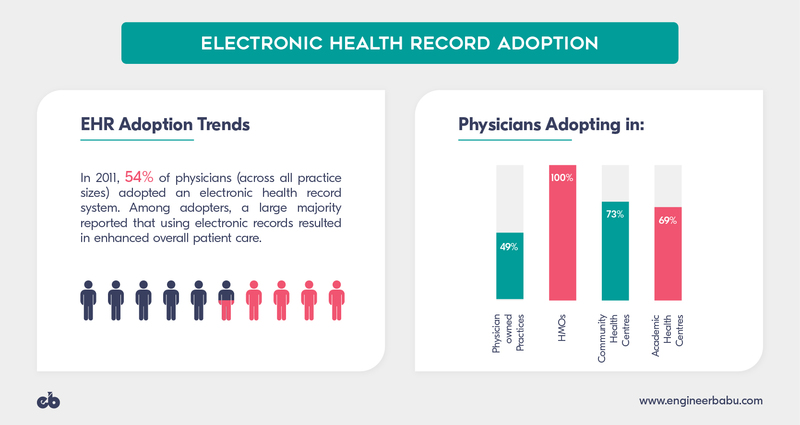 54% of doctors have already adopted EHR, and it is estimated that Electronic Health Records will completely replace the traditional paper records by 2022. According to studies, the healthcare sector is most vulnerable to data breaches than any other industry. It is 200% more likely to suffer significant consequences. As personal data is precious, organizations have now started using analytics to prevent security threats by identifying changes in network traffic or reflecting on other suspicious activities like a cyber-attack. Proper maintenance of data is essential for the smooth functioning of healthcare industries. From filling patient treatment histories to analyzing diagnostic reports, healthcare facilities need to maintain plenty of records. Thus, the introduction of Electronic Health Records has brought about a positive change in eliminating paperwork. It has been a game changer for healthcare professionals as everything can now be managed through a centralized digital system. Input information relating to a patient’s weight, vital symptoms, and test results can now easily be tracked on a single interface. 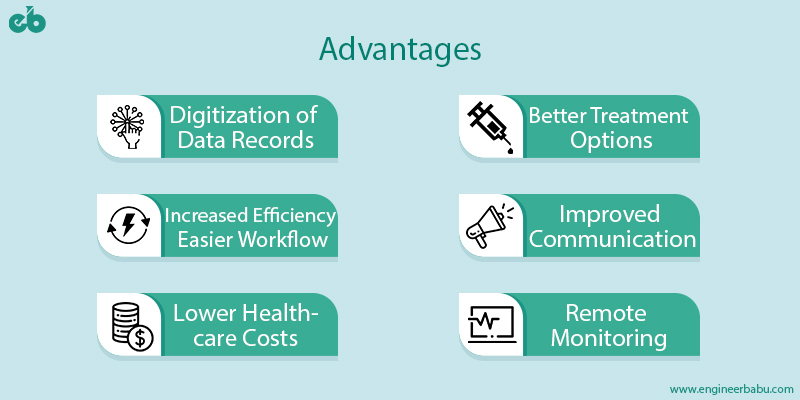 Apart from that, scheduling appointments, submitting medical claims, updating patient records with diagnostic codes have become more comfortable with digitalization. Managing things in an organized and systematic manner becomes hassle free with feeding data into a computerized system. It is less time consuming and leads to increased efficiency due to the replacement of paper-based methods. Also, it reduces the risk of human errors while maintaining financial details and patient data. The transition to electronic health records has the potential to reduce the cost by 3%. According to the researchers, this can lead to savings of up to$5.14 per patient each year. New technology has helped to provide new machinery and equipment and improved medicines which has, in turn, led to the improvement of the quality of life of people. It can be challenging to get in touch with doctors due to busy schedules and limited timings. Technological advancements have facilitated in bridging this chasm between doctors and patients. Some of the exclusive options like translation software allow easy conversion of a doctor’s spoken words into another language. Also, social networks provide a collaborative platform for doctors who can easily interact with each other. This increased communication has helped the industry in a significant manner. It allows patients to access the records from the comfort of their homes. Usage of home monitoring systems can help to save a lot of cost and time associated with frequent visits to hospitals for regular check-ups. This specially designed device allows doctors to detect specific medical issues with the patients. Also, this device enables health specialists to analyze data of their patients and forewarn them in case something doesn’t seem right. Healthcare industry holds the potential to grow leaps and bounds. The need of the hour is effective and proper utilization of available technological resources to bring about that positive change. These are some of the baby steps which have been taken to enhance the overall functioning of this promising industry. Due to improved connectivity through consumer demand and mobile technology, the healthcare sector is touching new heights every single day. Statistics state that about 90% of the healthcare executives are investing in building telehealth programs for the overall well-being of their patients. 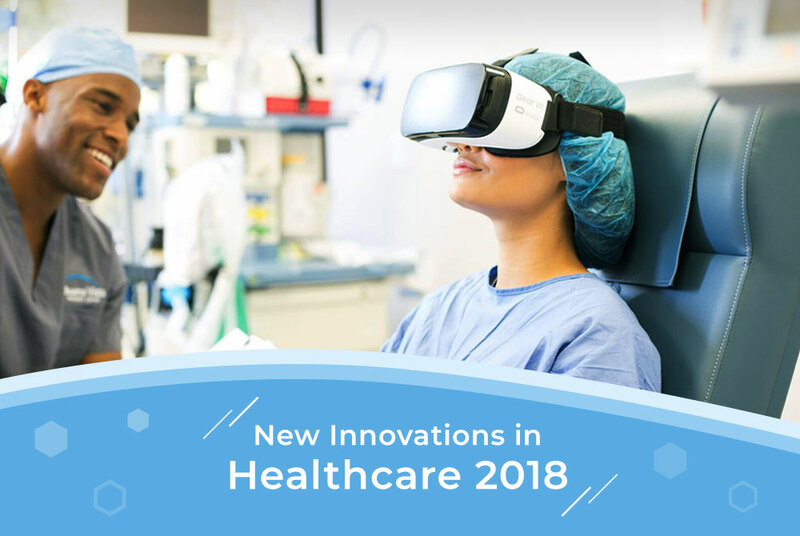 Also, these innovations are exponentially on a rise as distance health technologies are becoming popular with time. The ultimate aim is to provide personalized services to patients in a hassle-free manner. Hence, in a nutshell, innovation in the healthcare sector can be a blessing in disguise as it can easily displace traditional practices which are becoming obsolete in this changing world. Apart from that, the need of the hour is to adopt rigorous evaluation methods to find new ways of incorporating technology in healthcare. Evolution is necessary to meet with the increasing requirements of patients. Thus implementing these solutions is integral to the workings of the healthcare sector. Evaluating the right health care companies can be a tedious task. Though the raw elements remain consistent, some of the crucial factors include productive employees, unique selling points, excellent market reputation, and effective management. This extremely lucrative industry can play an instrumental role in transforming the internal working of health care. The leaders in the healthcare sector have learned to combine these diverse elements in the right ratios to thrive in the modern marketplace. As the companies adopted new regulations and added new partners in pharmaceutical and biotech mergers-and-acquisitions spree, some chosen few in this sector have adapted to these dynamic changes and made a place for themselves in Fortune 500. These health-care behemoths rode to change the health care sector exponentially. We have combined a list of some of the most Reputable Healthcare Companies. With a multitude of programs in the market, you need to be careful in choosing the right plan according to your needs and requirements. Some of the primary factors one should look for are coverage options and providers. Here are some key factors which can help you in making a calculated decision for your company. This is the first and foremost thing which you should consider while choosing a plan. Scrutinize whether the program offers minimum essential coverage. You also need to be sure that there are no uncertain terms with your insurance provider. The premium cost of employees is the next important factor which you should consider. It is the necessary amount which a policyholder has to pay to the insurance provider for the sum assured whether or not he uses the medical services. They can be divided on the basis of time, i.e. monthly, quarterly, half-yearly or yearly. The only thing which you need to be cautious about is that premiums are paid monthly, and you will be at risk of losing your coverage if you stop making payments. You need to be careful in checking whether the pre-existing diseases would be covered under the health insurance policy or not. Also, you need to understand intricate details as to what does the waiting period for these pre-existing disease cover. You need to know the deductibles which you might have to pay before the health provider would pay for the costs. You need to find a percentage of costs a health care provider would pay if one needs to take the services of a doctor. Some of the health care plans even have lifetime limits on the total amount which a health insurance provider is willing to pay. Every insurance company has their list of medicines they can cover under the plan. If the drugs are not under the coverage policy, the policyholder will have to take up a lengthy and time-consuming process to take coverage. This will then give you an idea of your current medicines and comparing it with plan’s formulary to understand out of pocket expenses associated with them. Let’s delve a little deeper into the companies that are making a mark in this new-age arena of Health-Care Technology. Founded in San Francisco in 1833, this health care corporation has emerged as an industry leader in delivering medical and pharmaceutical products. They have captured the market from institutional providers to retail pharmacies in North America and internationally. Apart from that, they are leading suppliers to hospitals, health systems and more. They also hold expertise in providing innovative health solutions for pharmaceuticals and biotech manufacturers. Furthermore, they deliver a wide range of healthcare products, equipment, technology, and other related services to non- hospital markets including surgery centers, home health care businesses and extended care facilities. Based out of the US, they aim to distribute pharmaceutical products and medical supplies globally. They have used the technology to the fullest to simplify their workings. It started with an early adopter of technologies like pharmacy robotics, barcode scanning for distribution, RFID tags and more. For the last fiscal year 2017, McKesson reported total earnings of $67 million with annual revenue of USD$208.357 billion. This was seen as an exponential increase of over 5.0% over the previous fiscal cycle. In the year 2018, McKesson’s shares traded at over $142 per share and its market capitalization was valued at over $24.3 billion in October 2018. Currently, McKesson is ranked at number 6 on the Fortune 500 rankings of the largest United States corporations. It is the fourth largest pharmacy chain from the perspective of total revenue. UnitedHealth Group is a renowned health and well-being company headquartered in the United States. Their motto is to help people live healthier lives. Founded in 1974, UnitedHealth Group is committed to introducing services, products and innovative approaches that can promote healthier populations and improve personal health in local communities. Through these two platforms, the group has been offering health services and benefits to people residing in all 50 states in the US. Also, more than 130 other countries have been generating revenue of over $201 billion. They intend to address the biggest challenges in health care while ensuring that patients always remain at the center of their quality and reliable health care services. Apart from that, they hold immense experience and knowledge in organizing health care resources to serve the specific needs of local markets. They have also helped connect participants in health care by allowing a variety of interactions at an enormous scale. Their unique skills include collecting, analyzing and managing data from reliable sources to translate into actionable information. In the year 2017, UnitedHealth completed the acquisition of Rally Health Inc, DaVita Medical Group and Banmédica which have played an instrumental role in their increased share of revenue. This renowned American retail healthcare company and retail pharmacy headquartered in Rhode Island in Woonsocket was established in the year 1964 as a chain of beauty and health aid stores. Their services are extended to include Digital Services, Clinical Services, Specialty Pharmacy, and Pharmacy Benefit Management. To expand their operations and facilitate growth, the company set out to join The Melville Corporation, which managed a string of retail businesses. They look to provide a comprehensive range of affordable and quality health services that are within reach economically and physically. Also, they strive to reinvent pharmacy to help people on their path to better health. They are committed to delivering innovative solutions that create more accessible, simpler experience for patients, customers and caregivers. In the year 2018, CVS Health’s revenue growth was about 4.1%, and they generated over $184.7 billion. This health company gradually scaled its prescription volumes, pharmacy benefit management products rollout, and pharmacy network. Presently, it is ranked at 7th on the Fortune 500 and 17th on the Fortune Global 500 list. This leading American drug wholesale company was founded in the year 2001 from the merger of AmeriSource and Bergen Brunswig. Bergen and AmeriSource were both reputed pharmaceutical distributors which covered different geographies but served similar markets. Their merger led the company to create a strong presence that geared toward helping hospitals, regional retail chain pharmacies, clinics, independent community pharmacies, and other alternate care facilities. It inherited more than 100 years of excellence in wholesale distribution and pharmaceutical sourcing. Since then, they have succeeded in making a mark in drug distribution and related services which were designed to improve patient outcomes reduce costs and distribute a line of generic pharmaceuticals. 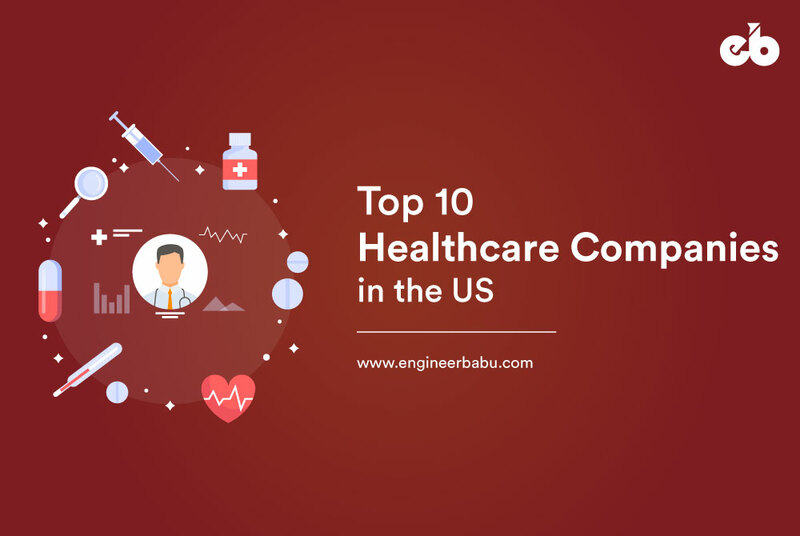 They have a great chain of health care providers throughout the US including health systems and acute care hospitals, retail chain pharmacies, physicians, clinics, mail order facilities, and other assisted living and skilled nursing centers. Undoubtedly, it is a leading pharmaceutical distributor with nine distribution centers in Canada, four specialty centers in the US. AmerisourceBergen is handling about 20% of all of the pharmaceuticals sold and distributed throughout the country. Currently, it is ranked 12th on the Fortune 500 list for 2018 with over $153 billion in annual revenue. Recently, this health care company has been acquired by H. D. Smith who is one of the largest privately held national pharmaceutical wholesalers in the US. Cardinal Health, Inc. is a renowned health care services company and the 14th highest revenue generating company in the United States. It is headquartered in Dublin, Ohio. Specializing in the distribution of medical products and pharmaceuticals, the company is serving more than 100,000 locations across the world. Founded in the year 1971 by Robert Walter, the company was initially into food wholesaling. But in 1979, it stepped ahead to acquire Bailey Drug Company and began wholesaling drugs under the name of Cardinal Distribution, Incorporated. They help hospitals, pharmacies, clinical laboratories, physician offices, and ambulatory surgery centers. Their motto is patient care while improving quality, enhancing efficiency and reducing costs. Cardinal Health, Inc. operates the nation’s biggest network of radio pharmacies. They aim at providing services and medical products to prestigious medical institutions all over the world. In the year 2017, they announced the plan to acquire leading patient product from Medtronic for $6.1 billion. The acquisition was funded with a combination of $4.5 billion in existing cash and borrowings under our existing credit arrangements and in new senior unsecured notes. Headquartered in St. Louis, Missouri, this notorious corporation is an American Fortune 100 company which was established in the year 1986. They stand at 25th position in terms of total revenue. It is one of the largest pharmacy benefit management (PBM) organization in the US. Some of its areas of expertise in integrated pharmacy benefit management services include home delivery pharmacy services, network-pharmacy claims processing, specialty pharmacy benefit management, and drug data analysis services. Apart from that, the company also offers pharmacy benefit management services for workers’ compensation insurance programs. This program is accredited by URAC which is the nation’s largest accrediting body for pharmacy benefit management companies. Its own automated pharmacies dispense chronic and long-term medications for diabetes and heart-related diseases directly to the members by home delivery. Recently, this year, it announced that Cigna would buy Express Scripts in $ 67 billion deal. This will be another major attainment for the company in terms of revenue and growth. This reputable American health insurance company occupies one of the top positions in reputable healthcare companies in the USA. Founded in the 1940s, it is one of the largest for-profit managed health care companies. It strives at delivering a number of innovative health benefit solutions through a broad portfolio of integrated health care plans and related services. They also hold expertise in providing a wide range of specialty products and long-term care insurance. Headquartered in Indianapolis, Indiana, Anthem, Inc. is a licensee of the Blue Cross and Blue Shield Association serving members in California, Colorado, Connecticut, Georgia, Indiana, Kentucky, Maine, Missouri, Nevada, New Hampshire, New York, Ohio, Virginia, and Wisconsin. They also offer a comprehensive range of individual and family insurance plans at affordable prices. Anthem’s revenue increase of 5.8 % year-over-year was driven by revenue growth across all segments. Its commercial and specialty business revenue grew by 5.3% and government business grew by over 6.2%. Based in Oakland, California, US, founded in 1945 by Henry J Kaiser and Sidney Garfield, Kaiser Permanente is a leading managed care consortium. It is divided into three distinct interdependent group of entities which were Kaiser Foundation Hospitals; Regional Permanente Medical Groups and Kaiser Foundation Health Plan, Inc. (KFHP) and its regional operating subsidiaries. It operates in eight states namely Hawaii, Washington, Oregon, California, Colorado, Maryland, Virginia, Georgia and the District of Columbia. It has emerged out to be the largest managed care organization in the US. According to statistics, last year, Kaiser Permanente had 208,975 employees, 21,275 physicians, 54,072 nurses, 11.7 million health plan members, 720 medical facilities and 39 medical centers. The company has reported a $3.8 billion net income on $72.7 billion in operating revenues. KFHP has made a mark in the healthcare industry as one of the largest not-for-profit organizations in the United States. Founded in 1853 in Hartford, CT, Aetna is an American managed health care company, which sells traditional and consumer-directed health care insurance plans and related services. Some of it includes pharmaceutical, medical, dental, behavioral health, long-term care, and disability plans. Aetna was ranked at position 49 in the 2018 Fortune 500 list of the largest United States corporations by total revenue. Aetna strives to provide extended benefits, services, and products to individuals, employers, health care professionals and producers. Based in Louisville, Kentucky, Humana Inc. is a for-profit American health insurance company. As of 2014 Humana had over 13 million customers in the U.S., reported 2013 revenue of US$41.3 billion, and had 51,600 employees. In 2018, the company ranked 56 on the Fortune 500 list, which made it the highest ranked (by revenues) company based in Kentucky. With over 45 years of expertise in the health care industry, Humana has embraced the dynamics of changing the industry and kept pace with adopting new technological ways. They offer health insurance coverage and other such services to individuals, government-sponsored plans and employer groups. Their primary goal is to control the working costs and advance consumerism while making consumer focused plans. If you don’t know where to start from, keep this list in your mind; you must evaluate the pros and cons and make the right decision while choosing the correct pick for oneself. One needs to be rest assured of the kind of services these businesses provide and whether they can fulfill your requirements. Not every company will be able to cater to specific needs. Don’t rush into choosing hastily. Chart out your priority services before you plan to approach a health care company. It will also be immensely helpful if you draw a rough sketch of how much you are planning to spend. Let us know what you would like to learn next, feel free to drop a comment.